We study a general stochastic ranking problem where an algorithm needs to adaptively select a sequence of elements so as to “cover” a random scenario (drawn from a known distribution) at minimum expected cost. The coverage of each scenario is captured by an individual submodular function, where the scenario is said to be covered when its function value goes above some threshold. We obtain a logarithmic factor approximation algorithm for this adaptive ranking problem, which is the best possible (unless \(P=NP\)). This problem unifies and generalizes many previously studied problems with applications in search ranking and active learning. The approximation ratio of our algorithm either matches or improves the best result known in each of these special cases. Moreover, our algorithm is simple to state and implement. We also present preliminary experimental results on a real data set. Part of V. Nagarajan’s work was done while visiting the Simons institute for theoretical computer science (UC Berkeley). 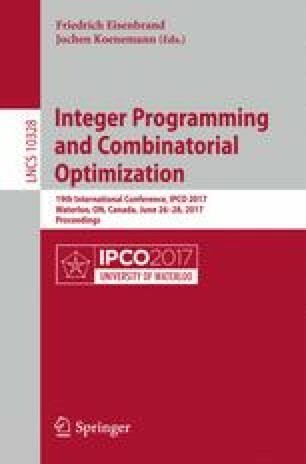 The authors thank Lisa Hellerstein for a clarification on  regarding the OR construction of submodular functions.